On the field of battle, cavalry are one of the most effective units a Commander can deploy. They are highly mobile, able to hit hard, and are fairly resilient (even for lightly armored units). One of the best defenses against them, however, are halberdiers. With their long spears, halberds, or pikes, they can stop a cavalry charge dead in its tracks before any real damage is done. 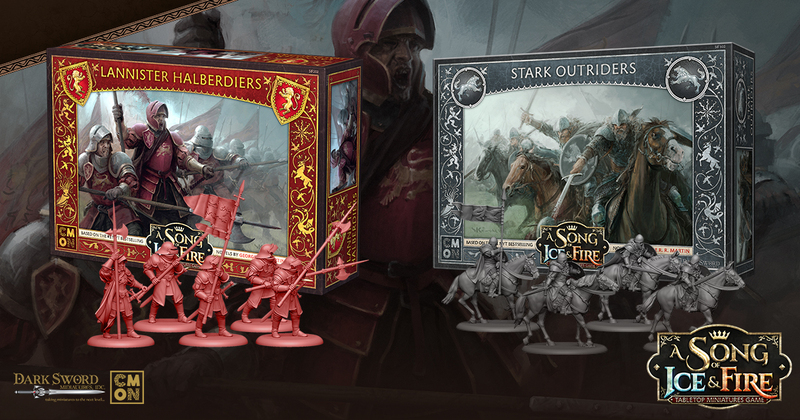 This month’s releases for the A Song of Ice and Fire: Tabletop Miniatures Game includes both a unit of cavalry and a unit of halberdiers. These two opposing forces are sure to make an impact in any battle they are fielded.